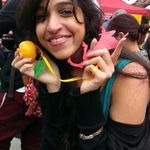 Promising Ideas for a Beach Wedding & How to Turn It into a Roller Coaster Ride of Fun | Wedding Tips ARE YOU A VENDOR? 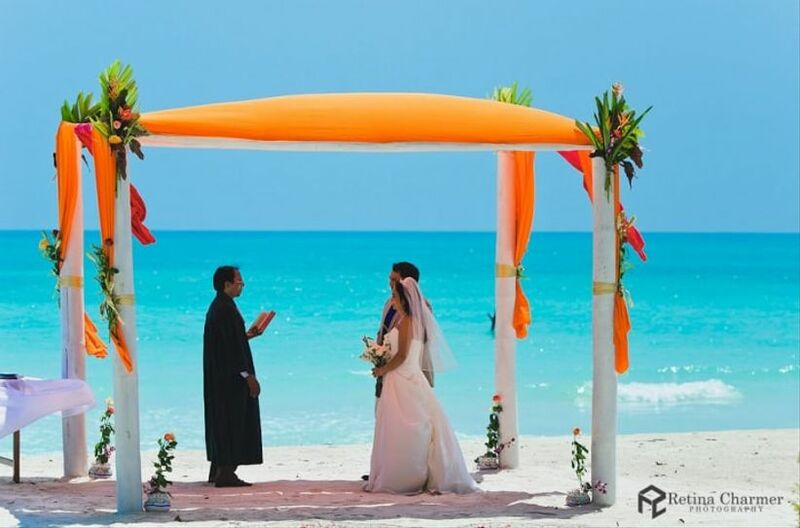 Wouldn't we all wish to host a destination wedding on a beautiful Island somewhere? We sure would! Icy cold water, soft sand and serenading with your beau in the company of family and friends, there is nothing better than this. 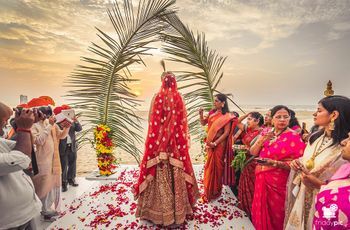 For all those couples who wish to celebrate their union on a picaresque beach somewhere, take cues from this article and build up your whirlwind of romance. 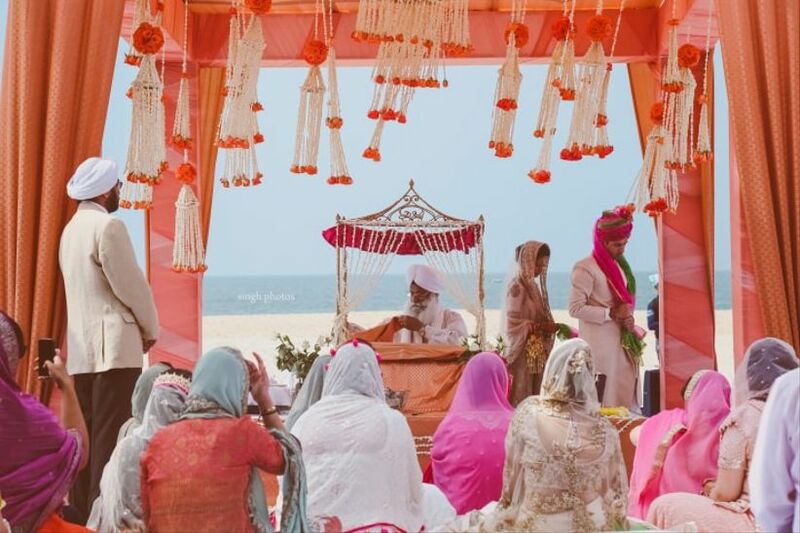 Hosting a beach wedding will certainly come with its ups and downs and glitches too. 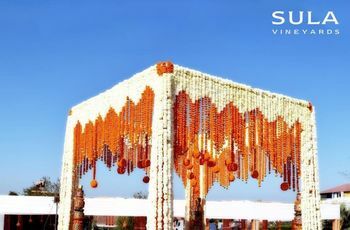 That is why we are here to guide you and hind at some pointers that you must consider as you host the marriage party of the century. Read on and take some notes! Let the designs on your invites reflect that it’s a beach wedding, drop a seashell in the hampers. You can even throw a pre-wedding party and let your expectant guests get a taste of what’s coming. The party could have decorations that revolve around the sea. 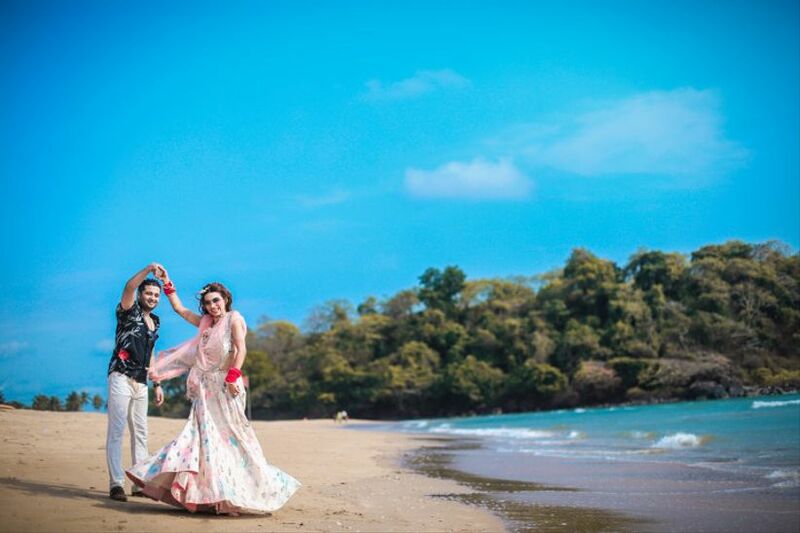 Or you could even play around with the dress code and ask your guests to come dressed in tropical colours reflecting the magic of nature and the ocean. The idea is to introduce the theme in several ways before it’s finally time for the wedding! The possibilities really are endless here. You can have fun volleyball sessions a few days before the wedding, throw a big bash in the evening with great music and delectable food. Pay attention to your music, your guests will thank you for it! You can also keep it a lot more intimate and have acoustic jam sessions at the beach. Or once the wedding is done, you can ask everyone to carry their beachwear and let them dress down for a proper party later! Make it fun and play around with several options. 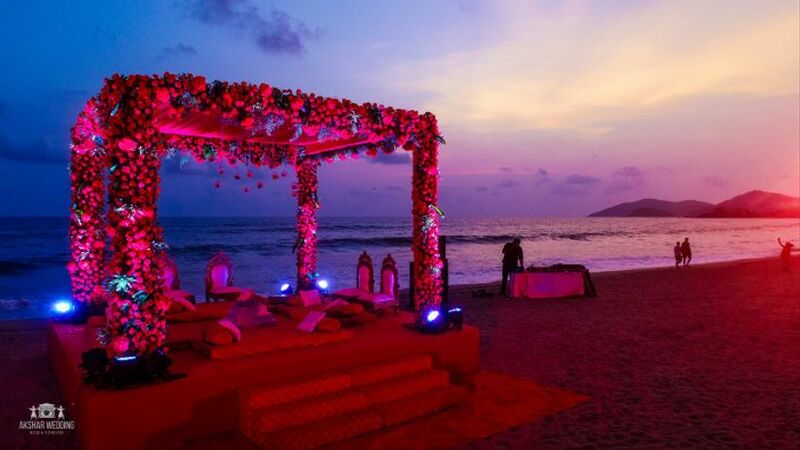 You can have a destination wedding in a town by the sea and reap the benefits of it all. Not only will you have a picturesque setting, but it’ll also make everyone very happy and excited to enjoy the local flavours coupled with the dreamy setting itself. 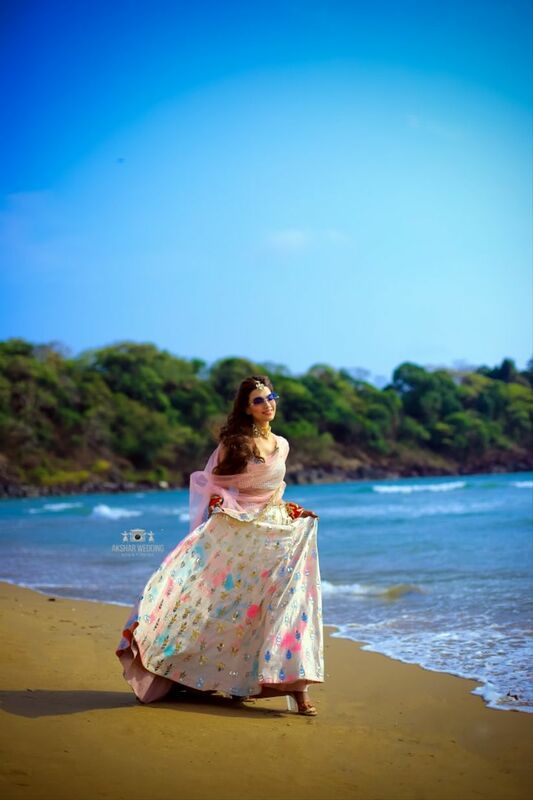 Goa is one of the most popular picks in India and is preferred by many couples looking to tie the knot with sand in their toes, away from the hustle and bustle of the city. 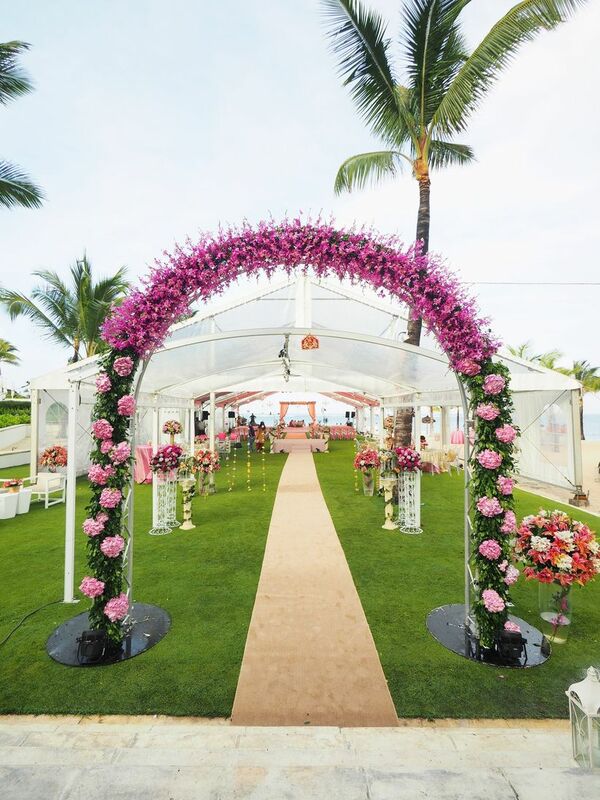 Make sure you take care of all the legal considerations such as securing a permit for the ceremony. You don’t want to deal with necessary complications on your wedding day. It’s best to take care of all the legal issues first before finalizing the location and booking everything. 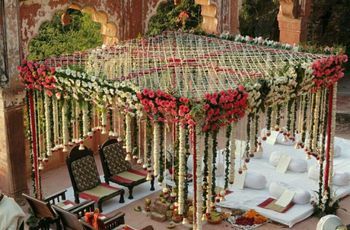 A wedding planner will be able to help greatly in this scenario and sort out all your queries. Make sure you take care of little things like providing enough shade for your guests and offering food and drinks at regular intervals. You also want to keep the weather and time in mind especially considering the best time for photographs as well the most comfortable setting for the ceremony which is bound to take some time. Conquer these and you're set to rule the hearts of your wedding guests. Your destination wedding is all they'll be talking about for some wedding seasons to come. Your wedding is a once in a lifetime occurrence, so ensure that you plan it right and include everything that resonates with you as a couple. Did we miss out a thing or two? Tell us through comments!